Free extra bed for 5-year child. Full breakfast with big choice. With fruits! Huge free parking field near few hotels. City beach is opposite hotel over street. 24-hour front desk. Balcony with partly airport view. The property is really not well cared for. Not clean, The staff are really unprofessional, unhelpful, difficult to find them when you need assistance. We stayed two separate nights one week apart and chose the hotel because of proximity to the airport and accessibility by the bus service from the airport which operates at thirty minute intervals and stops within circa 200 meters of the property. We opted for B&B and were delighted with the choice provided at the Buffet Breakfast. Only a 10-minute drive from Larnaca International Airport, Flamingo Beach Hotel is located across from the famous Blue Flag Makenzie Beach. It features a rooftop pool with panoramic Mediterranean Sea views. Restaurants are within a 5-minute walk from the hotel. Larnaca Salt Lake is 650 yards away and the Larnaca City Centre is 1.2 miles away. Staff at the 24-hour front desk can assist with car rental services. Free parking is available on site and shuttle service is available upon request. 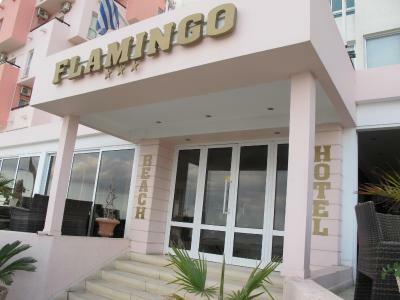 Flamingo Beach Hotel has been welcoming Booking.com guests since 10 Feb 2010. 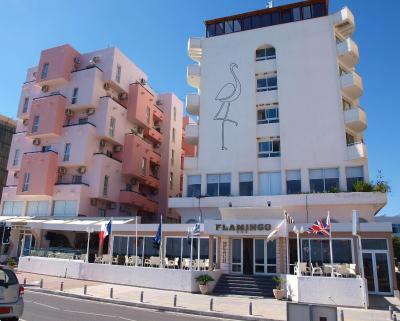 When would you like to stay at Flamingo Beach Hotel? 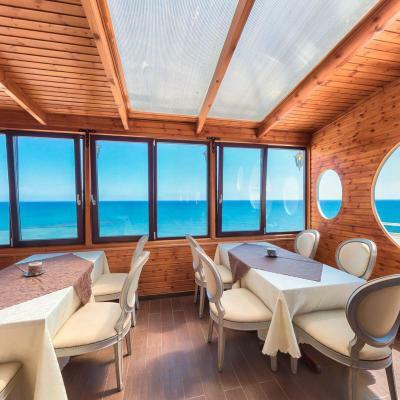 Features satellite TV, work desk and a balcony with side sea views. Opening out to a balcony, this room type has a satellite TV and a work desk. 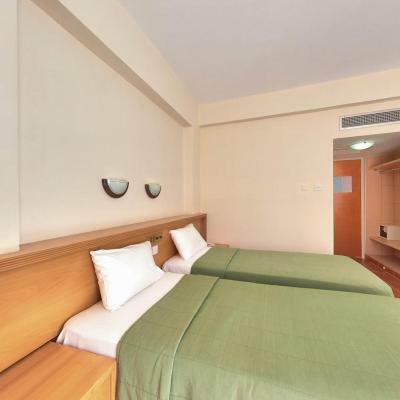 This room type can accommodate up to 2 Adults + 1 Child (up to 12 years old). House rules Flamingo Beach Hotel takes special requests - add in the next step! Flamingo Beach Hotel accepts these cards and reserves the right to temporarily hold an amount prior to arrival. Please note that room service is available from 10:00 till 23:00. Kindly note that during winter the swimming pool will be closed for renovation. old furnitures and wasn’t clean !!! Easy to walk to good restaurants, lots of ice cream shops to enjoy, beach in front was ok and very close to mackenzie beach which is a nicer one. Disastrous situation with sockets! Only two sockets in an awkward place under the table, in which the TV and the hairdryer are turned on. A weak current in the socket in the bathroom that turns off the shaver after 2 seconds. Poor WiFi in the room. On city's beach each sunbed and umbrella cost 2.5 euros. It urgently needs modernisation. The curtains do not block the sun. The cleaning lady is knocking on your door and wakes you up. I asked for a late check out and nobody was able to tell me if it was possible...very disorganised. The beds were too old and uncomfortable. Bathroom wasn't working properly and hotel is a bit old. Was clean and very good location, right next to beach. Old furniture. Only one international tv chanel. No refrigerator. Clean room. Very nice staff. Aceptable food. 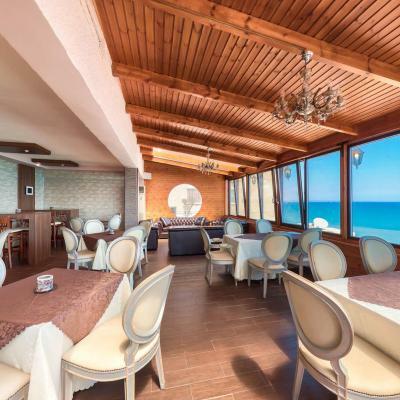 Close to airport, bus station, beach, minimarkets, restaurants.